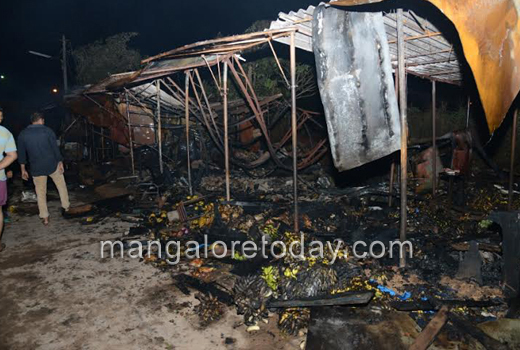 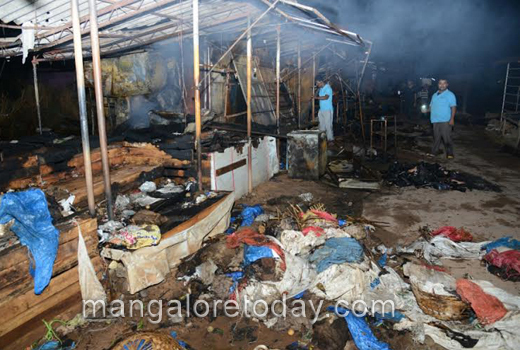 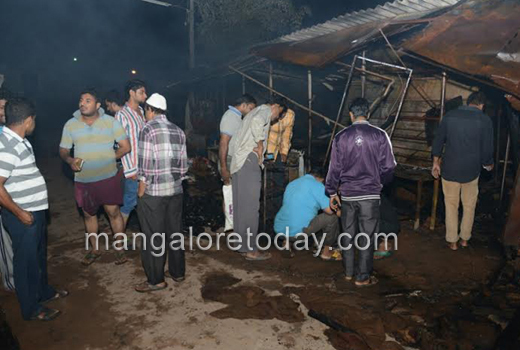 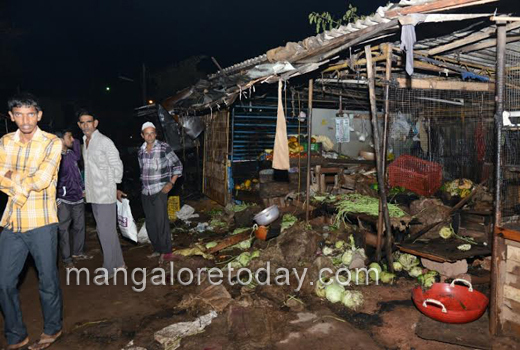 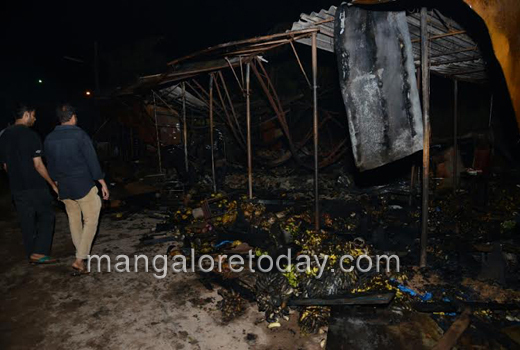 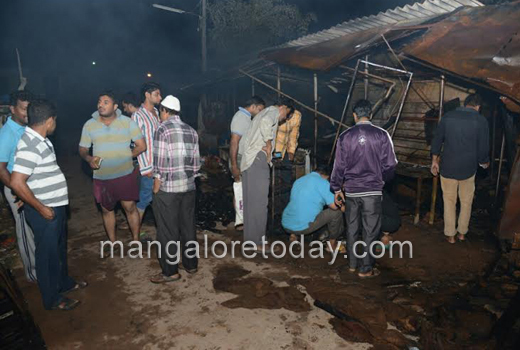 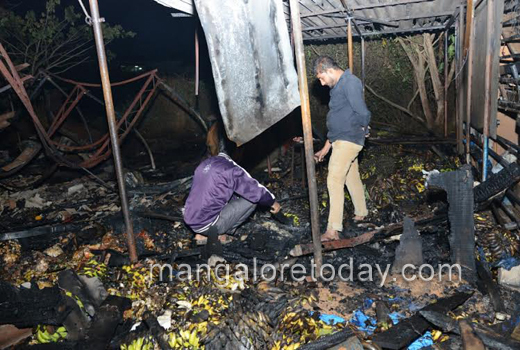 Mangaluru, Feb 26, 2015 : As many as 13 shops in Tokkottu Junction were gutted after they were allegedly set afire by some miscreants on February 25, Wednesday night. 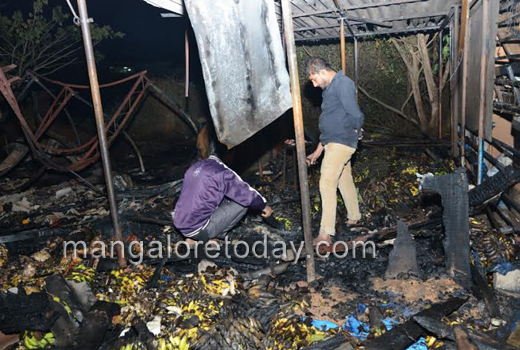 It is believed that the issue of putting up of buntings and flags for a Brahma Kalakshotsava of a religious shrine at KC Road Junction had led to the clash after another group objected. 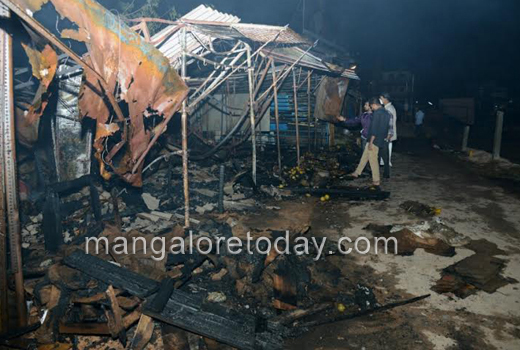 This led to some miscreants switching off street lights and then pelting stones and soda bottles at the rival group. 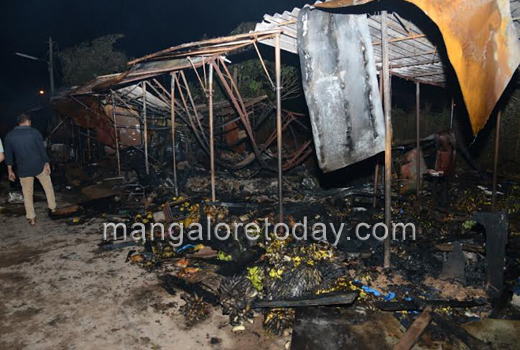 The stone pelting even damaged a Duster car on the highway and traffic was affected for some time. The injured cops included Mohandas, ASI, Chandra Naik and Kamalakshayya. 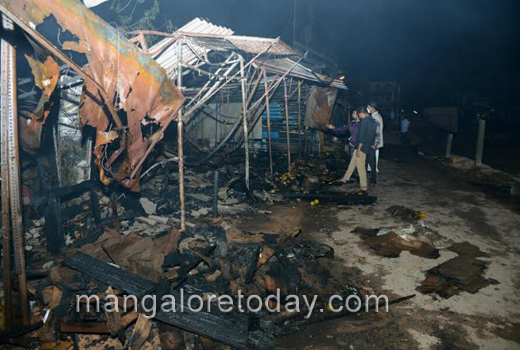 Presently with the situation in the area remaining tense, additional police forces have been stationed in the trouble torn area and senior officials including Vishnuvardhan, DCP, Pavithra Teja, Ullal Inspector and Bharathi, SI are at the spot. 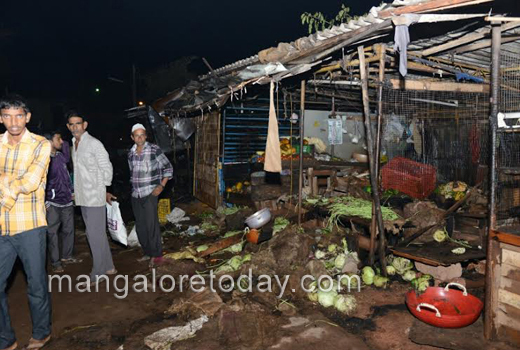 The shops that were set ablaze by miscreants included three vegetable shops, three grocery shops, a toy shop, dry fish shop and a plastic items and garment shop, all belonging to members of the Muslim community. 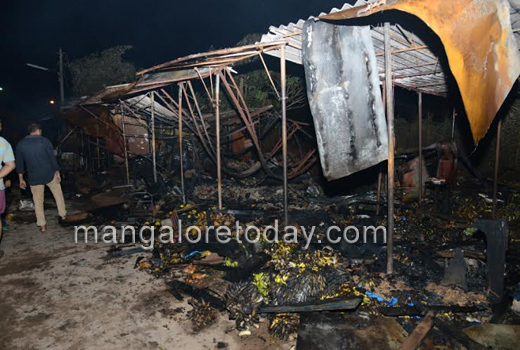 The loss has been estimated at several lakhs of rupees.